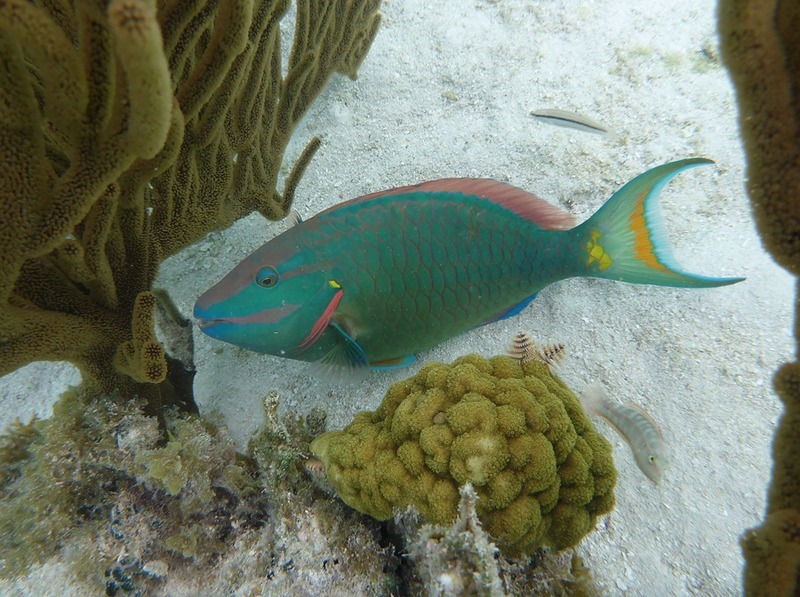 The main reason to go to Glover’s Reef Belize is for the underwater creatures. Whether you are looking at them in shallow or deep water, or catching (and releasing) them, you will find an underwater world unlike no other. Many of our guests have commented that this is the best snorkeling and diving they have ever experienced, and our fishermen are ecstatic! Visit our Belize Sports page for a list of all the sports we offer. 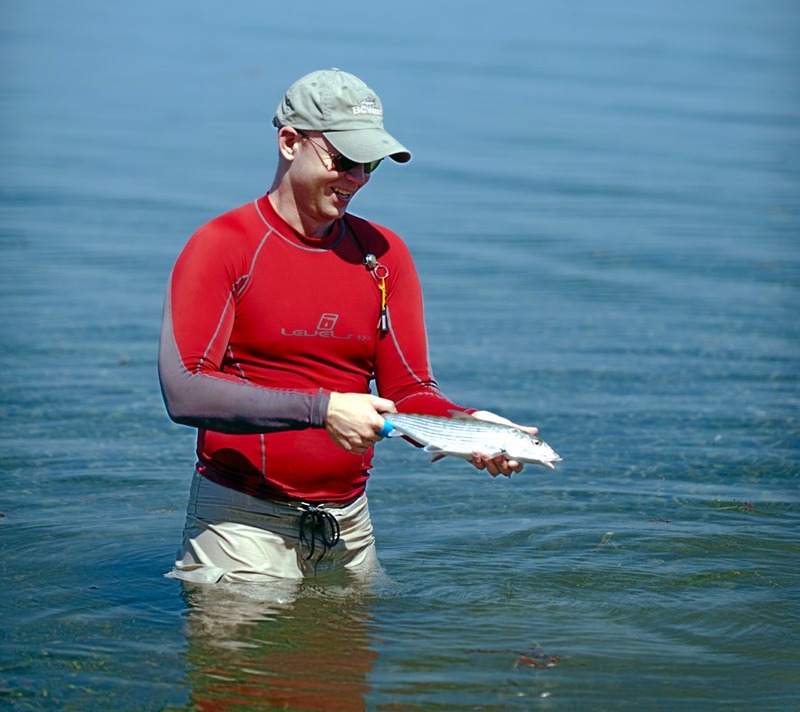 There is no need to hire a private guide, you just wade in and fish. The fishing (catch-and-release only) is excellent just off our island; it is common to pull in several bonefish per session. Fishermen also spincast off of our dock and catch permit, jack, and barracuda. Of all the highlights of your visit, exploring the underwater world will be the most memorable. The pristine reefs of Belize are world-renowned, and those at Glover’s National Marine Reserve are the best in the country. The remarkable clarity of the water here makes this an ideal location for snorkeling and diving. Our island adventure snorkel kayak and tour is all-inclusive, and situated in the best coral reef environment in the country. Guests can snorkel the reefs right off our island, or use the sea kayaks to access the many patch reefs. If you want to swim right to snorkel sites, you have to go out to one of the atolls of Belize, or one of the islands that lie right along the Belize Barrier Reef. 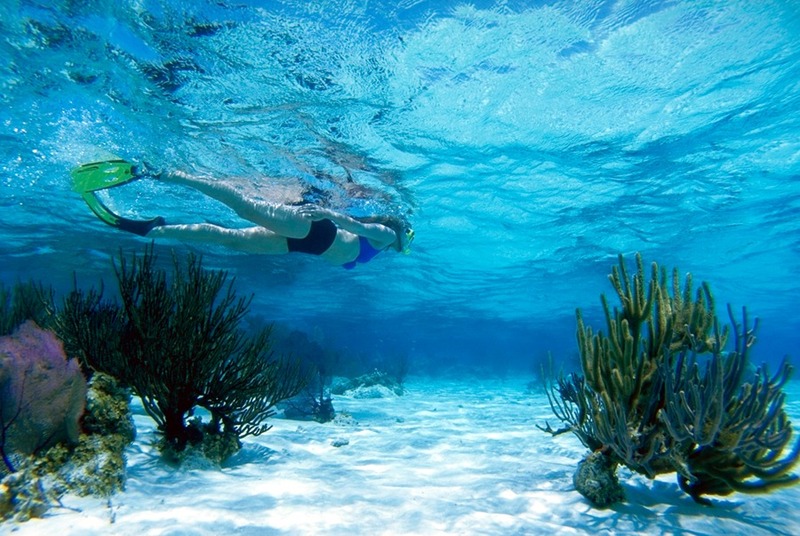 Our island at Glover’s Reef is situated within 1/2 mile of hundreds of snorkel spots. Learn more about the snorkeling opportunities at this special, remote and unspoiled National Marine Reserve. The remarkable clarity of the water at Glover’s makes this an ideal location for scuba diving. There are 54 miles of wall diving within a 12-mile radius of Long Caye. The top of the reef wall varies from 35 to 80 feet. It is not uncommon to encounter dolphins, sea turtles and as many as 50 species of creatures in one dive. Scuba courses are available from a full service dive shop located just down the beach from our facility. 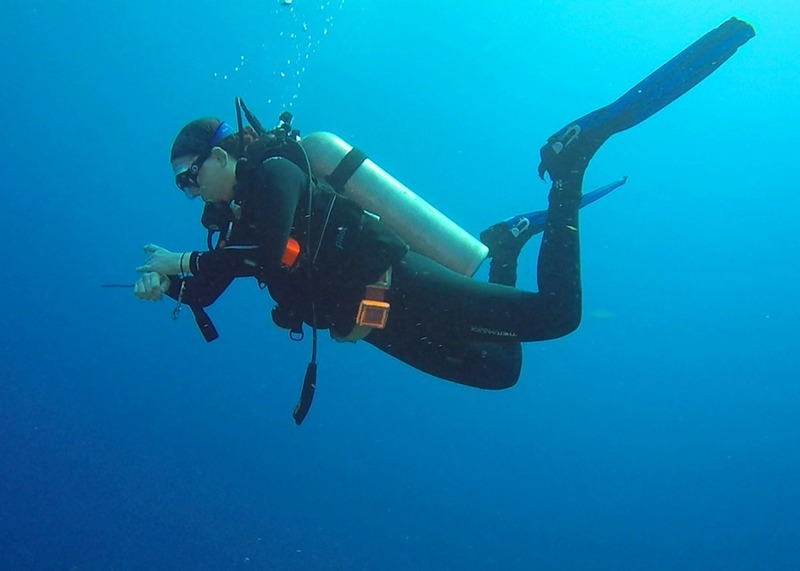 From half-day to full week courses, guests can try diving for the first time, get certified, or continue their certification to a more advanced level. 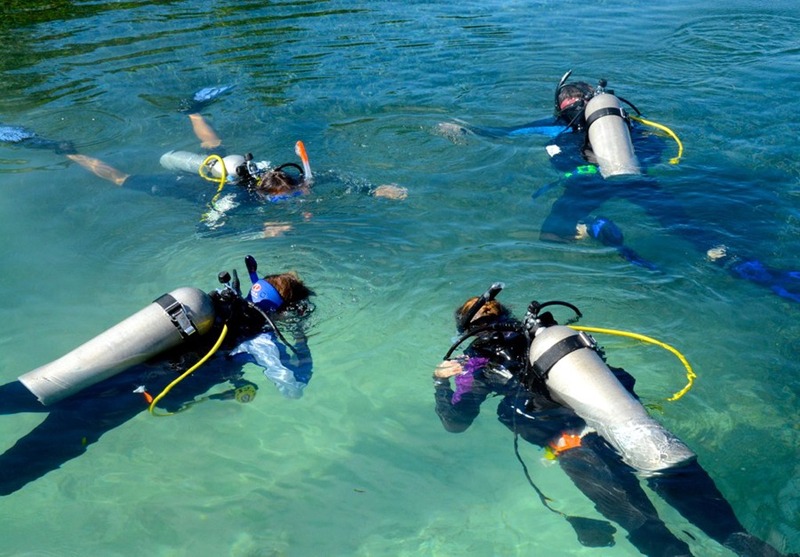 Dive classes are fit around all of the other sports to suit each person’s needs. We are located right on the edge of Glover’s Reef Atoll. The diving is endless. There are 54 miles of linear reef within 10 miles of the island, most dive boat rides last 10 minutes or less. 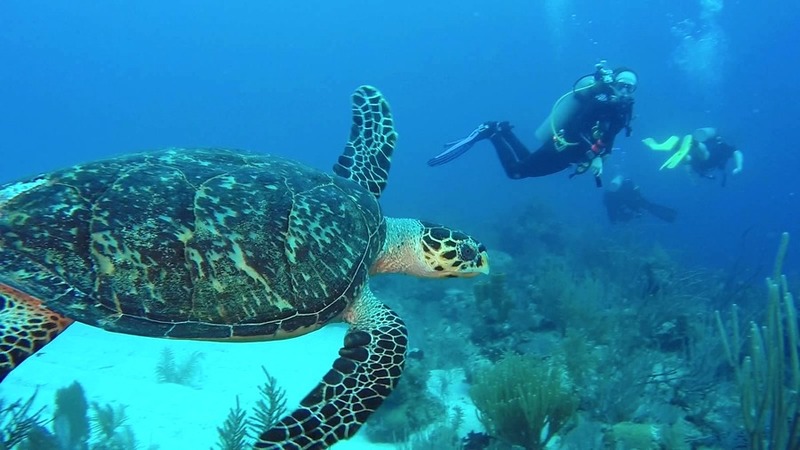 Glover’s Reef offers deep and shallow dives, so regardless of your level you will love the diving near our island.